The circle slider UI component changes corresponding to rotary events. The circle slider not only extends the UI feature of the slider component (elm_slider), but also replaces the functionalities of the elm_slider in the circular design. For more information, see the Efl Extension Circle Slider API. To create a circle slider component, use the eext_circle_object_slider_add() function. Pass a circle surface as the second parameter. Configure the circle slider features. The following configurations are optional. Unless you configure them, the slider adopts the default styles. Set the range of the slider. Set the color of the slider. The following example shows a simple use case of the circle slider component. You can modify the circle slider properties using the following functions. Set and get the value of the circle object. Set and get the minimum and maximum angle for the item of the circle object. Set and get the angle offset of the circle object. Set and get the angle in degree of the circle object. Set and get the line width of the circle object. Set and get circle radius of the circle object. Set and get the color of circle line and font in the circle object. Set and get the disabled state of the circle object. 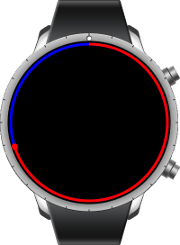 default: Default circle item, which draws a slider bar. This item represents the value of the circle slider, which is a red circular area in the left example. cue: Cue circle item, which is a touchable handle located at the end of the slider bar. effect: Cue effect circle item, which renders an effect when a cue item is touched. bg: Background circle item, which is a dark circular area in the left example. The following example shows how to manipulate the items. You can register callback functions connected to the following signals for a circle slider object.